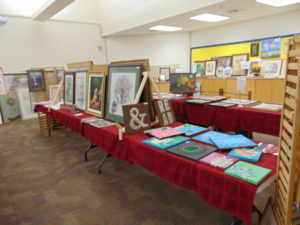 The Hang It Up fundraiser for the Cherry Valley Library drew hundreds of donations of paintings, photos, quilts, and anything to be placed on a wall. The Cherry Valley Public Library held a fundraiser over the weekend of Nov. 17 and 18 to continue to raise money for the changes they are planning. “We have had young couples come in and find things for their new home at a good price,” said library director Jane Lenser. “We have had older couples who are downsizing their homes come in and find things as well. “We put the word out at the beginning of September and asked for donations. We got over 500 items donated. The community really responded. The donations took over my whole office. “Last year, we didn’t price the items for our Bags & Baubles fundraiser until the last month. We learned from that to start pricing items as they came in. Our volunteers were pricing items on a weekly basis this year and the process went more smoothly. “We are raising money for an expansion of the building. It will contain a new Youth Services Program room. We also want to install a drive-up book return. That is our goal. A lot of our fundraisers in the next couple of years will be going towards that. “The volunteers have been really great. This community has really responded to us. 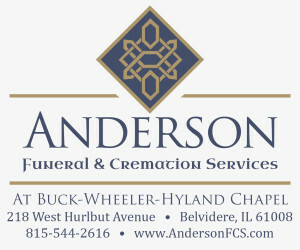 For complete article, pick up the Nov. 29 Belvidere Republican newspaper.